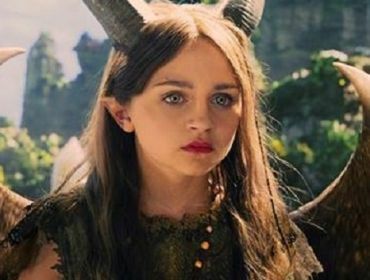 Isobelle Molloy is a 14 year old English actress who is best known for playing the roles of Matilda in the West end production of Matilda and Young Maleficent in the 2014 Disney film Maleficent – a family film which tells the tale of the villain of Sleeping Beauty and her side of the story. I was lucky enough to have a chat with Isobelle exclusively for CLIConline. Hi, Isobelle! How are you? Hi! I’m good thank you! 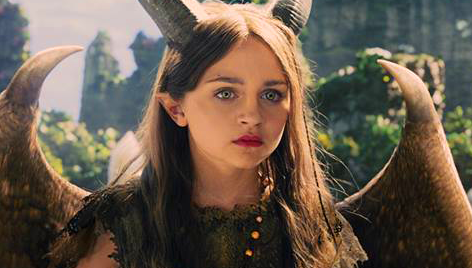 We loved your performance as young Maleficent in the film Maleficent – how did the part come about? Well I go to Tomorrow’s Talent Theatre School which set me up for an audition when I was a bit younger and I wasn’t quite sure what it was I was auditioning for but I ended up going for a screen test which was really cool and got the part. This was your debut on the big screen, which is amazing! How does acting in films differ to acting live on stage? Well, they’re both really different but you still get such a good adrenaline and buzz from both of them which is great. You’ve also previously played the part of Matilda in the West End musical, how did you manage to land the part? My theatre school, again, set up the audition and I ended up going back and forth 11 times and got the part. How do you balance school and acting – is it difficult? The theatre school is really supportive and we do a mix of both normal work and theatre work so I could have maths and then ballet. You started your career at a young age – what do you think the benefits and drawbacks are of that? The good thing is you get a lot of training from a young age although sometimes it can be quite daunting but it’s mainly really good. If you could star in a film with any actor or actress in the world, who would it be and why? That’s a really hard question! There’s a lot of actors I like but I really would like to work with the director of Maleficent, Robert Stromberg, again. What sort of film genres are you particularly interested in acting in? I like watching family comedy but I would like to be able to play more serious roles. Would you rather stick to doing more films or going back to just theatre work? I’m not sure because I love them both so I’d really like to be able to mix them both and do a bit of film and theatre. In November I’ll be in the Sound of Music playing Louisa and then after that I’m just practising and getting on with school. What advice would you give to other young people who may want to follow in your footsteps? I’d say follow your ambitions and dreams and make sure you work really hard.